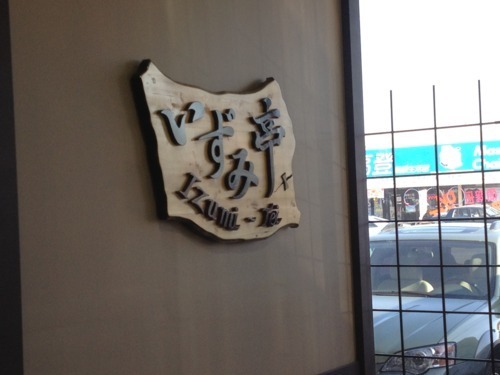 After hearing about the crazy buzz about Izumi-Ya’s new all you can eat, I decided to go give it a try. 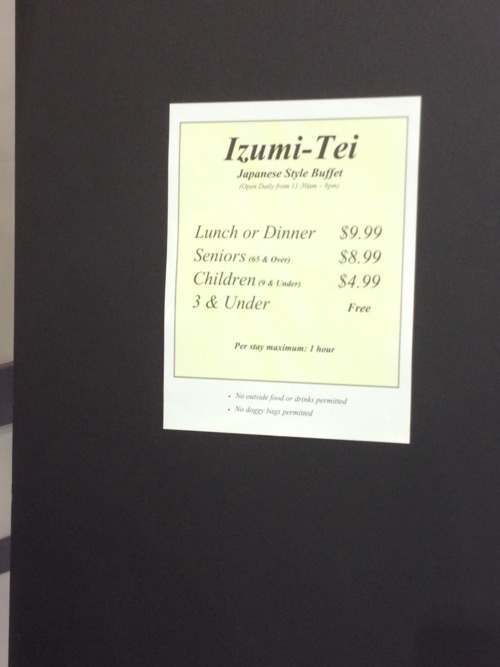 It’s called Izumi-Tei and this was probably just two weeks after it had opened, but it was packed already! I arrived at the marketplace to see that they had sectioned an area off for the buffet. There were already crowds of people waiting for a seat, but luckily we only waited for maybe a short 15 minutes and we were given a seat. The interior was very small, with most tables only fitting probably 4 people max. The workers were also not quite organized, probably because it had just opened. For dinner or lunch, it was only $9.99 for adults! I heard rumours that they have increased the price now though. My friends who had just went recently were giving me such good reviews about it, so I guess I went in having some high expectations, which was a bad idea. 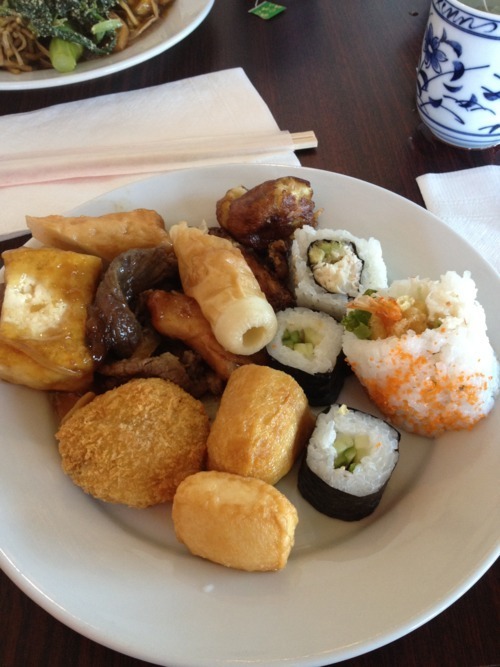 It ended up to be a buffet style all you can eat, but the selection wasn’t too large. Food wasn’t prepared quick enough, so a lot of times, there wasn’t much food left when I went up to get food. And most of the food were just greasy, fried items, which I’m not a huge fan of. 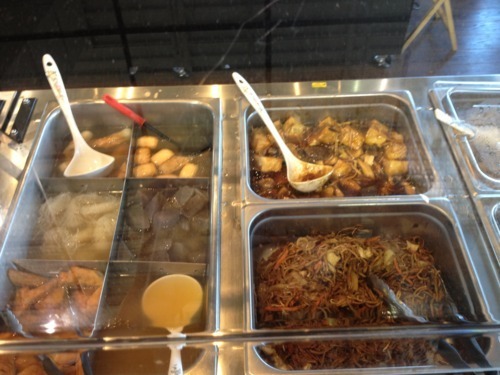 They did have an oden section, which was quite different from other Japanese all you can eat places. Sushi selection was limited to dynamite, california, salmon, tamago, and cucumber rolls. There wasn’t sashimi either, but what can I expect with the price I paid. Another interesting item they served were takoyakis! You also got to add the toppings yourself, which was pretty fun. Lastly, they served soft-serve ice cream, which wasn’t anything special again. They only let you eat for an hour as well, and they stick a little tag on your table with the time you must leave when you’re brought to your table. Overall, was the food anything amazing? I don’t think so, and I would probably choose to pay a few more bucks to eat better all you can eat. But with this price, it is definitely a place to go to if you want to fill up your stomach.